Balancing day-to-day responsibilities can be challenging – whether it’s at home, at work, at school or all of the above. The College of Continuing Studies (CCS) provides opportunities and support to help their students achieve their personal, professional and academic goals. 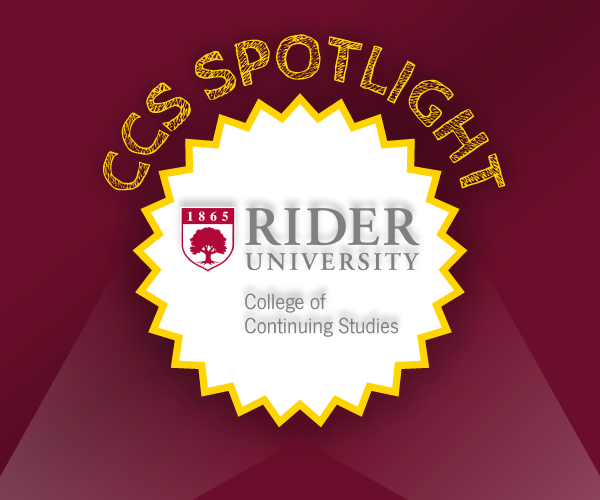 Adult learners, student veterans, and undergraduate students are sharing their success stories in the CCS Spotlight. Click here to to learn more about the opportunities and support CCS provides to help you achieve your personal, professional and academic goals and get information about classes offered during the day, evening, on campus, online, throughout the year, January Term (J-Term), and various summer session options. (Producer) Tiffani Britton will be graduating in 2022. 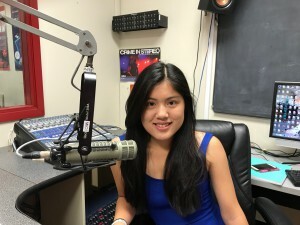 Her major is Communications with a concentration in Radio, TV & Film and her minor is Dance. Her passions include dance and volunteering. She has over 900 community service hours and is the recipient of several President’s Volunteer Service Awards. Tiffani has been dancing since she was 3 years old and began taking dance more seriously around the age of 11. In addition to this, Tiffani has worked as an intern for Bravura Magazine and did the KYW News Radio 1060AM Newstudies program. She currently works at Six Flags Great Adventure as a performer/dancer. Chris Micali– Chris has been working with CCS since August 2014. He is one of the many academic advisers who help students through the years. Hear about his story and what he loves most about CCS. Zane Birnie– Zane is a CCS Student, the President of RUVA, and an intern with the Veterans and Military Affairs Office. Learn about upcoming events for the VMAO in this interview. Brandon Norris– Brandon is a CCS student and works with 107.7 The Bronc. He was in the Marine Corps before coming to Rider to pursue biochemistry. Learn about his story and how Rider is treating him so far! Sylvia Troutman– Sylvia graduated from CCS in December 2018 with a degree in Organizational Psychology. She is also a recipient of the Charlotte Newcomb Scholarship. Learn aboout her journey and experience to success. Carolyn Witrock– Carolyn is a CCS student who has one semester left until graduation. She is a recipient of the Charlotte Newcomb Scholarship and will be a key note speaker at the ceremony. Listen about Carolyn’s experience with CCS and her journey to the scholarship. Marisa Rios– Marisa is a current student at CCS and will be graduating next semester. She speaks about her journey and experience with CCS. Marci Risch– Marci is an alumni of CCS and also is Assistant to the Dean of CCS. She is also pursuing her master’s degree. Learn about Marci’s experience with CCS as a worker, student, and alumni. Heather Yacone– Heather is a current CCS student who will be graduating in May 2019. Hear about her journey with the College of Continuing Studies and her experiences with the J-Term. Barbie Gomez– Barbie recently graduated from The College of Continuing Studies and works with the HR department at Rider University. This CCS alumni talks about her student experience and a very special scholarship she received. Rich Scannella– Rich is a CCS alumni and is actively involved in the music industry. Learn about the beginning of his music career, his discovery with CCS, and how he is still connected to Rider in this interview. Eric Weinstein– Eric is a current student and veteran at Rider University. He also has a show here at 107.7 The Bronc called “69 Whiskey”. Hear about his military background, 69 Whiskey, and how the Veteran and Military Affairs Office has helped him in this interview. Eugene Marsh– Eugene graduated with his master’s degree in May 2018 and he was once Rider’s commencement speaker. This alumni and veteran tells us about his time in the military, his involvement with the Veteran and Military Affairs Office, and the importance of a veteran. Biancia Malone– Bianca is pursuing her master’s degree at Rider; she is also veteran in the military. She talks about her student-veteran experience and her involvement with the Veterans and Military Affairs Office. Dr. John Paitakes– Dr. Paitakes is a Veteran and adjunct professor here at Rider University. Hear about his involvement with the Veteran and Military Affairs Office and how he made his way into teaching. Patrick Schultz – Patrick is a CCS student who majors in digital media and interns for Fox News. He will be graduating in 2019. In this interview, he talks about his internship, his experience with CCS and the J-Term. Anthony Durham – Anthony is part of the Athletic Leadership Program and will be graduating in May 2019. He discusses his involvement with the program, his future goals, and the upcoming MAACness event. Dylan Manfre – Dylan is a freshman at Rider University with a major in journalism and a concentration in sports. He speaks about his experience with BronCast Sports Media Academy and his blog. Tara Ballay – Tara is a 2016 Rider University alumni and the Women’s Soccer Assistant Coach. She talks about her involvement with the Athletic Leadership program and life since graduation. Thomas Reddington – Thomas is part of the Veteran and Military Affairs Office. He speaks about his involvement with CCS and VMAO.